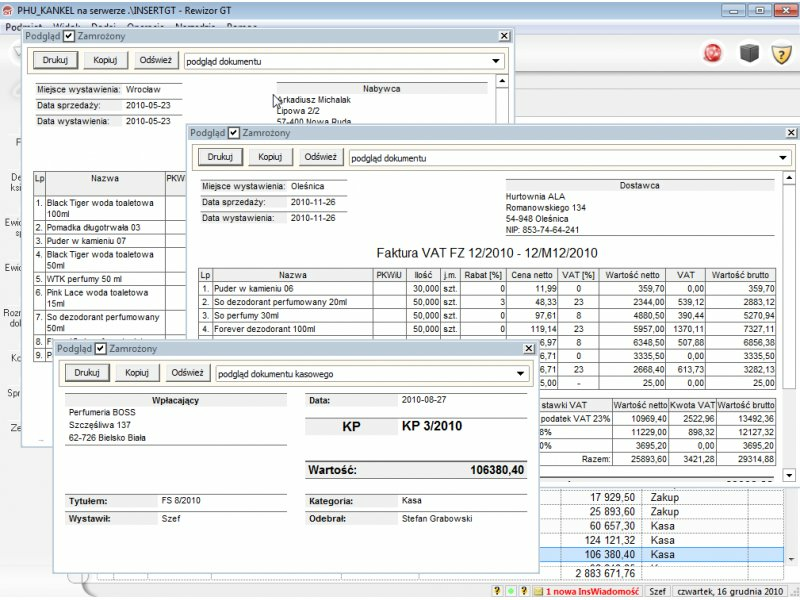 Rachmistrz GT (module of simplified accounting of the Insert GT package) works in conjunction with the Subiekt GT program (Sales and Warehousing), Gratyfikant GT (system of personnel and salary management) and Gestro GT (Customer Relationship Management, so-called CRM). - the program for KpiR accounting records keeping (books of income and expenses) and declaring payments according to the tax rate. - financial and accounting program for the conduct of full accounting. - KPiR (book of incomes and expenses) and a system of tax rate imputation. - program for conducting, so-called, complete accounting, that is the trading book. 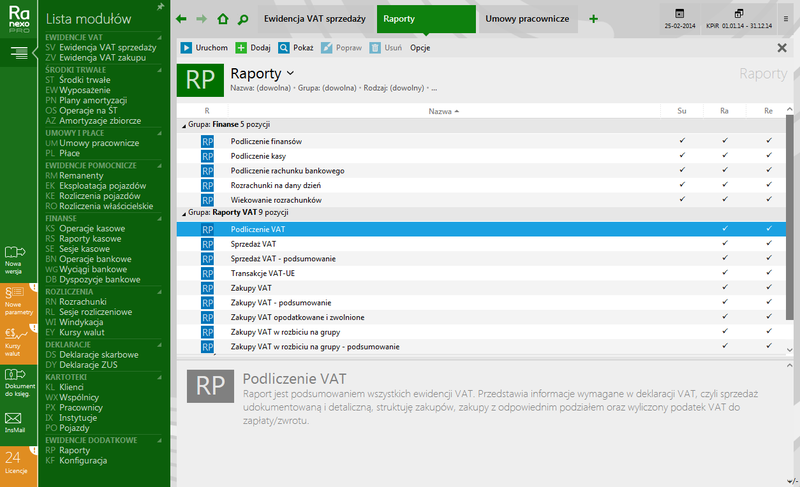 - management and accounting system for small, medium-sized companies and accounting. 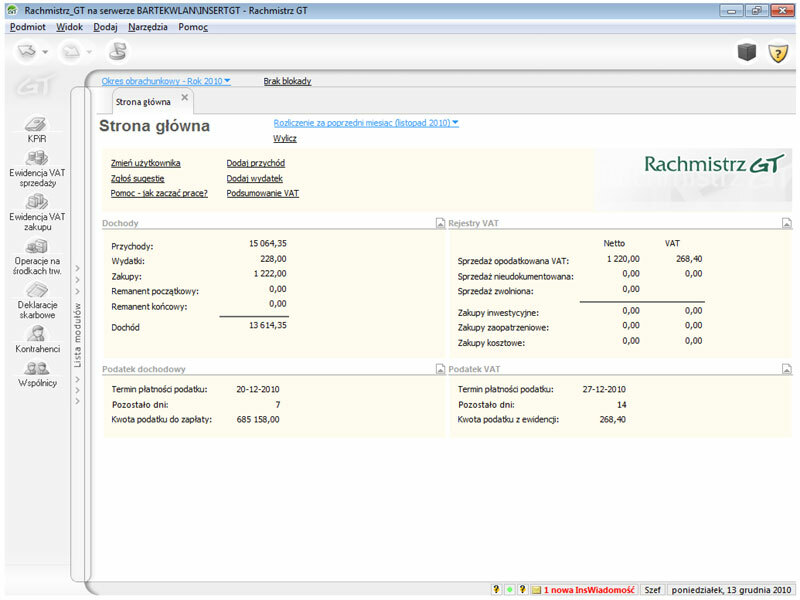 Software for ACCOUNTING and STAFF DEPARTMENT in our online store.